The theme for this months’ carnival of natural parenting is â€œI cannot image parenting without…â€ At first I thought it was an easy answer, but a bit of investigating brought me to a totally different conclusion. This post was written for inclusion in the monthly Carnival of Natural Parenting hosted by Code Name: Mama and Hobo Mama. This month our participants have shared the parenting essentials that they could not live without. Please read to the end to find a list of links to the other carnival participants. I thought that perhaps it was my Ella Roo sling. It was the best thing I ever acquired in the first months of parenting. It made my life so much simpler, without a pushchair up and down the stairs into our house, and never having to leave it outside at Rhyme Time. Of course, there’s also how lovely it was to be able to keep Ameli close to me, soothe her, lull her to sleep, and get on with the housework while she’s asleep on my back. Then I thought, maybe it was my breastpump. I’ve learned since that Medela isn’t actually WHO compliant and a lot of people have trouble with the pumps, but for me, my Medela Mini Electric was incredible. I expressed a lot, even in between two hourly feeds to try to make sure my milk supply was strong. I expressed in the evenings so that my husband could take the 11 o’clock feed and I could have four to six unbroken hours of sleep. I wanted to donate milk to a UK milk bank once my daughter turned six months old, but they didn’t want my milk. They said it wasn’t nutritious anymore. At twelve months I went to South Africa and the milk bank there jumped on the chance for more milk. I’ve been expressing for them ever since. They use the milk for the AIDS babies â€“ they told me it’s better than formula, not matter how old your own baby is. Then I thought about all the clothes, burp cloths, toys, grooming ‘essentials’ and everything else that we were given at our babyshower and since and I realised that actually, the truth of the matter is this: there’s no thing I couldn’t imagine parenting without. If the need had arisen, I wouldn’t have been the first mother to have her baby sleep in the top drawer of a chest of drawers. I wouldn’t be the first mother to tie a baby around her waist with a towel. Or the first to use only hand me down clothes or an old pillowcase for a blanket. I wouldn’t have been the first. But the one thing, which isn’t a thing at all, that I cannot imagine parenting without, is my husband. He was the most supportive person in my life during my horrible battle with Hyperemesis Gravidarum during my pregnancy. He supported every labour and birth decision I made. He had his reservationss and questions, but was content and supportive with well researched answers. He didn’t leave my side for around 20 hours of my 48-hour labour, whispering the affirmations I’d repeated for six month in my ears. He was my go-between with our midwife. He ‘fought’ for the birth we wanted. He has been a hands-on father. He never refused to change nappies (hey, he’s no saint. He’ll get out of it any way he can!). He waited on me for the first six weeks when I needed support to establish breastfeeding. He has an actual, active, real relationship with our almost 16-month old. He lost his job just before she was born, and has forged a successful freelance career working 15 hour days sometimes, so that he can be a part of her day to day life. So that he can come down the stairs and lift her into the air. So that he can sit on the floor, wide legged, and she can run squeeling into his arms before he returns to his desk. He has supported my every parenting wish, when I’ve combined it with reason. He has and continues to support our family. I could not imagine my parenting without him. Do Girls Really Need to be Daddy’s Princess? I’ve heard so many beautiful stories this carnival about wonderful husbands and partners. Mine too is so hands on and a vital part of my sanity. Thank you for sharing such a great post and allowing us to share in your life a little. You dear woman! I had hyperemesis gravidarum for both of my pregnancies, and with my daughter, I almost lost her at 5 months pregnant. It’s tough, and the people who stand by and help keep us alive should be given medals. I’m with you on this one: I couldn’t imagine parenting without my SO! @Delena Silverfox, Urgh! I am scared to death of having it a second time 😮 It’s probably the main/only reason I’ve not had number two yet! 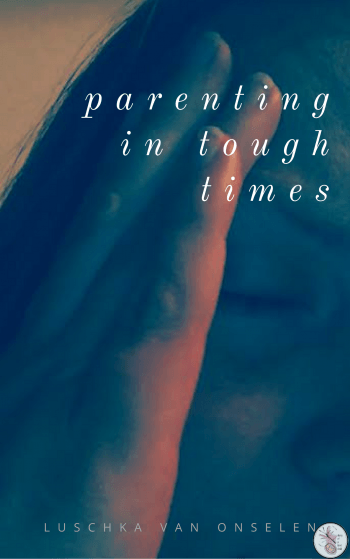 How did you cope with a child and sickness? this is something that really worries me? @Luschka, Actually, I was given hope that my difficult pregnancy was actually a result of the problems in my system resulting from undiagnosed Celiac Disease. I had been gluten-free for almost a year, and when I found myself pregnant (a very large surprise, since I was on the Nuva Ring), I thought hey, maybe this time it’ll be different! It was horrible. I couldn’t work the entire time, and as a result I now have to file bankruptcy because I had no income. The pregnancy basically ruined my life as I know it. @Delena Silverfox, Good heavens! What a birth story! I honestly don’t know what to say in response to all that. As you say, you have your daughter, and that’s got to be a big thing. I hope that financially things turn around for you. I really do. We had no milk banks in Oklahoma, last I checked. I’m so glad they see the value SOMEwhere! @Momma Jorje, Have you come across Eats on Feets? ( A play on Meals on Wheels). If you have excess milk and no milk banks, that may be well worth a try! 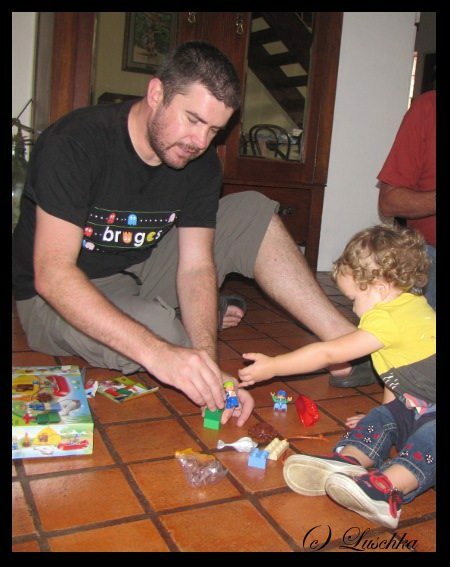 I wonder what makes some men such natural nurturers…. I dream of my son maturing into a nurturer of others. I love knowing that such men already exist. @Patti, I wonder if it’s not, to some extent at least, being ALLOWED to be. I know so many women who bemoan their unsupportive parters, yet criticize every move they make, try force them into a mold and make them into who they THINK they want for a husband, rather than just loving the man for who he is. With my husband, I made a conscious decision from the start to help him with our daughter, guide him when he asked for it, but never criticize or mock HOW he looked after her – i.e. bath time, nappy changes etc. I just allowed him to do it his way, and as a responsible adult, he managed just fine, asked for help when he didnt’ know how to do something, and discovered his own confidence. Maybe that’s too simple or too complex. Not sure, but it’s how it was for us. Indeed, the best things in life are not things at all! Pingback: It’s Marvelous Out Here, Kiddo! First of all, I cannot believe that a milk bank would refuse your milk as “not nutritious enough.” (fume fume fume) At any rate, what a sweet tribute to your hubby! Thank you for sharing, and yay for the South African milk bank! @Dionna @ Code Name: Mama, Oh, I know. I went through it all with both of them, and they just stayed on ‘message’. It’s very sad. Thanks for the comment hon. Wonderful post! I wrote about my husband as well. It is so amazing to hear about loving daddies and husbands. I always think men get a bad rep because I always hear that they don’t change diapers, play with he baby, or really understand you but that is not always true! Some men are so loving and amazing and we are so lucky to share our lives with them. @Bethy, Absolutely! I also think the daddies that won’t get involved are really missing out on something beautiful. I always ask them how they expect to be involved in their teens lives if they’re not willing to be involved when they’re babies. Some just dont get it though and it’s a little sad. I am really greatful for the husband I have 🙂 Glad you got a good’un too! Another awesome husband!!! Thanks goodness for them, yes? That’s so stupid about the UK milk bank! I’m so glad you were able to find a good place to donate in South Africa. I so agree with you about the husband part! It’s so much easier to have a supportive partner â€” from pregnancy and birth on through. @Lauren @ Hobo Mama, Thanks for the comment Lauren. I am dissapointed that I never found Eats of Feets before, if I think of how much milk I threw away when we came here, but I’m glad I know about it now, so I’ll def keep expressing once I’m back! And yes! I don’t know how single parents do it, especially the AP way! Not nutritious enough???? But in the U.K. we recommend to breastfeed beyond 2 years.Any way, mine would be a sling definitely,cloth nappies and muslin cloths.Parents over spend on stupid amount of unnecessary products they think they need but don’t. I know! And I went to two different milk banks in London. Crazy? Yes! Agree with you on the sling, definitely! Thanks so much for commenting!